Soon to be welcoming you aboard the Bali 5.4! 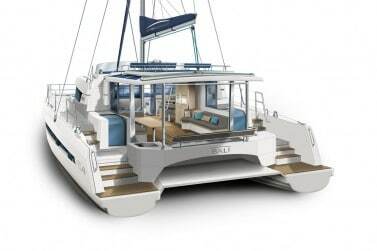 The new flagship model, the Bali 5.4 ‘Deep Blue’ is the latest impressive offering from the design team at CatanaGroup for the Bali range. 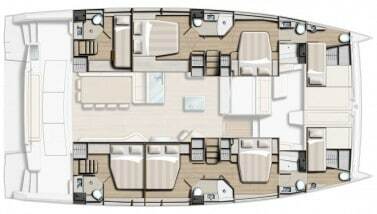 She is characterised by her enormous iteration of the flush deck saloon & aft cockpit that is now a hallmark of all the Bali designs. A spacious forward galley with ample storage for extended voyages, equipped to the highest standards for cordon bleu cookery. The vast and comfortable forward cockpit accessed from the saloon is a revelation in design and ergonomics with its comfortable seating and dining tables for all of your guests. 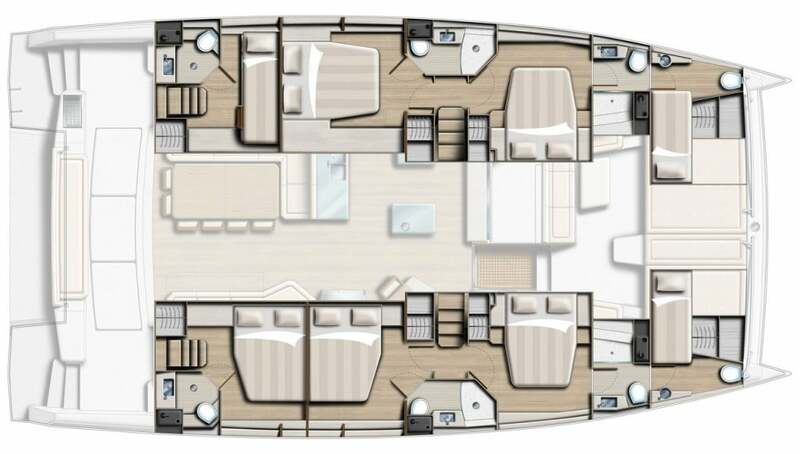 The superb sunbathing foredeck is in a league of it’s own and will prove an irresistible draw for all on board. 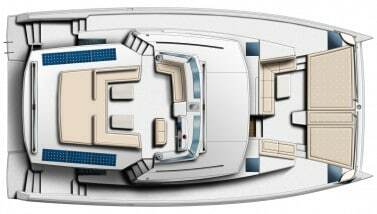 Integral deck without trampoline, another Bali Catamarans trademark. There are panoramic views from the large fly-bridge with plenty of comfortable seating, a great helm position where you are in complete control of your ship. 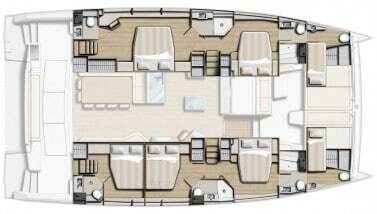 More akin to a large ship or super-yacht. 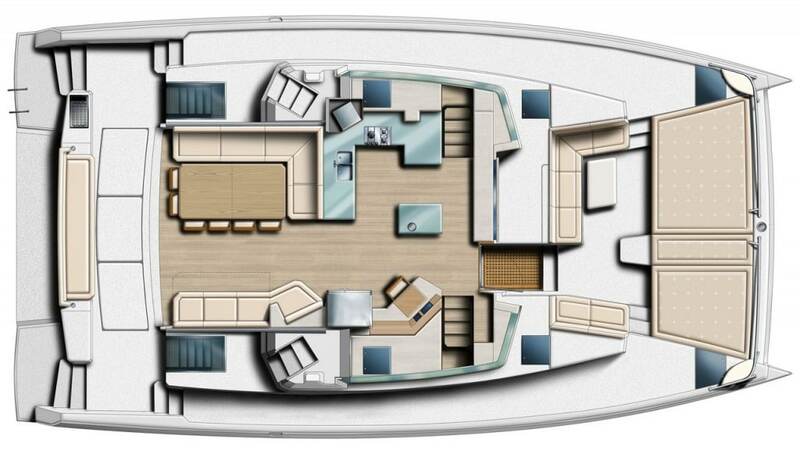 Enjoy the huge relaxation areas on the incredible flybridge, and experience a distinct sense of well-being. 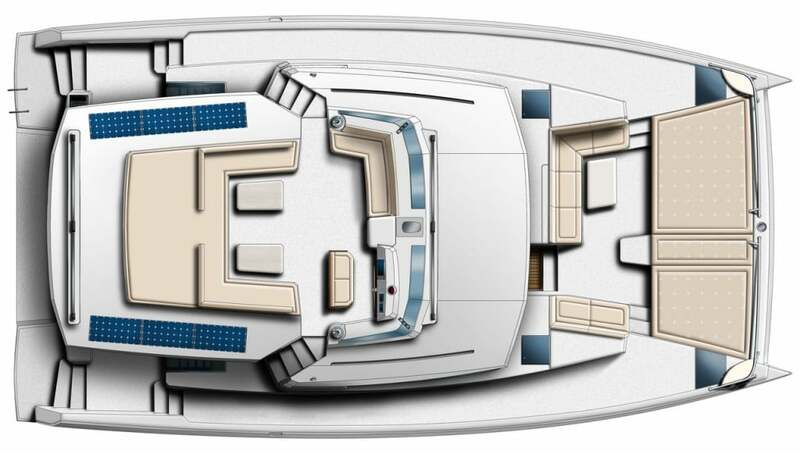 A feeling of luxury and comfort only found aboard big boats. Like all Bali models, only the best quality fitting and equipment is used in the construction and fit out. 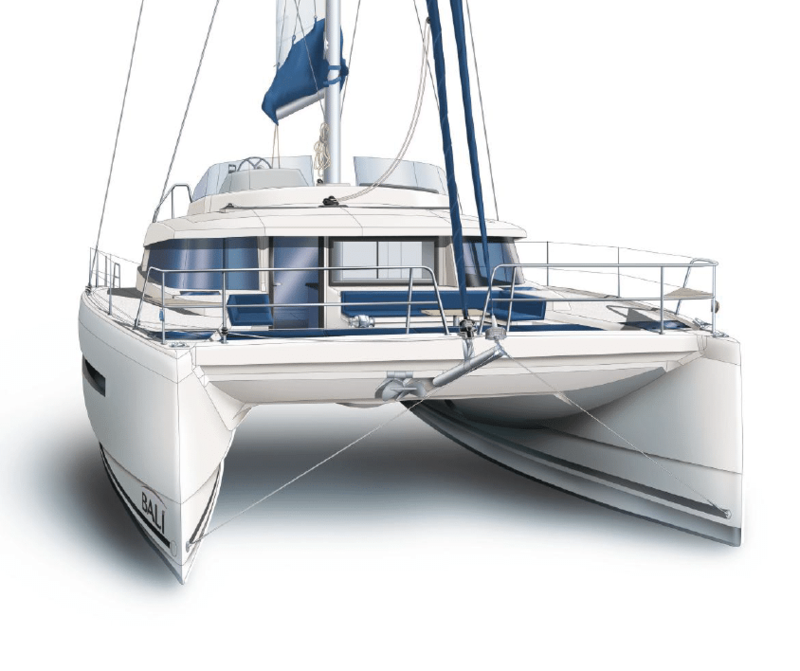 Constructed using the proven resin infusion system for increased strength, a lightweight build, and long-term durability these catamarans are built to last numerous lifetimes. This is an exceptional, fast, comfortable catamaran for the discerning yachtsman that wants only the best. Easy to manage short-handed; a catamaran you could live on with an exceptional level of self-sufficiency for extended periods, take long or short voyages anywhere in the world, always in complete safety and luxury.